The lutenist Axel Wolf and the saxophonist Hugo Siegmeth – who join forces here – are two musicians with roots in completely different musical disciplines. 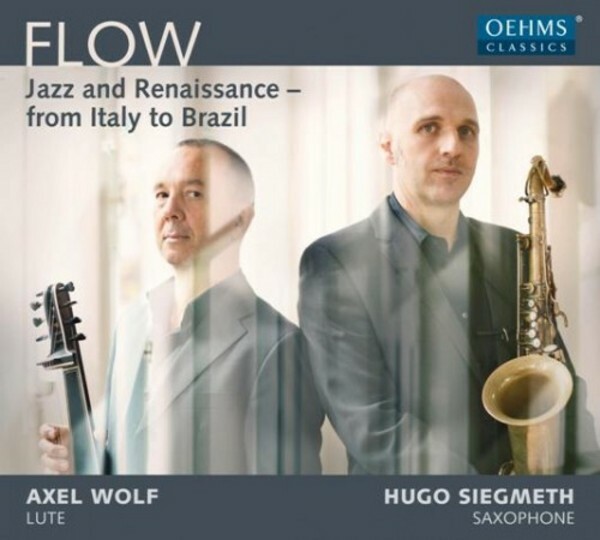 A virtuoso on the lute and theorbo, Axel Wolf specialises in the Renaissance and Baroque periods, whereas Hugo Siegmeth, saxophonist and composer, is an expert on modern jazz and contemporary music. Although several centuries lie between the heydays of both musical styles, the two musicians both place special focus on improvisation: involvement in the surprising moment and in spontaneous interaction.